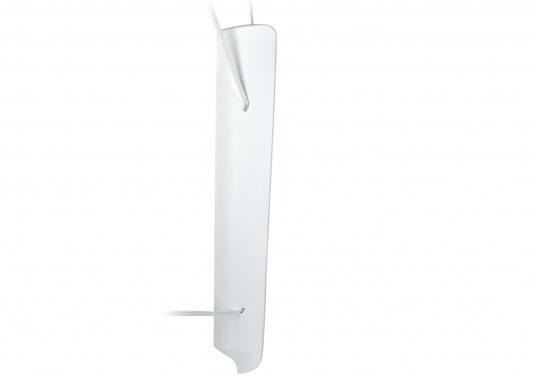 BLADE is the first and only bow fender for use in 90° angles, made out of PU foam. 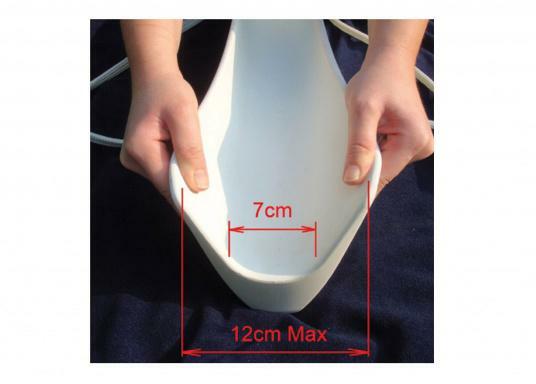 It fits bow shapes up to 7 cm and provides optimal shock absorption. BLADE is the first and only bow fender for use in 90° angles, made out of PU foam. It fits bow shapes up to 7 cm and provides optimal shock absorption. Due to the PU foam used, the fender has a long service life and can not lose air. Its innovative shape and exclusive design, combined with advanced ergonomics and protection, protect the sensitive areas of your vessel. 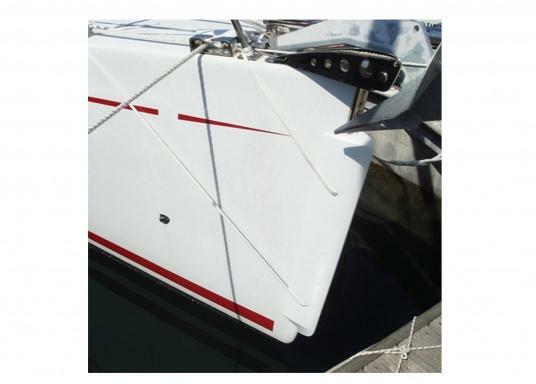 The BLADE can also be positioned into place while sailing. 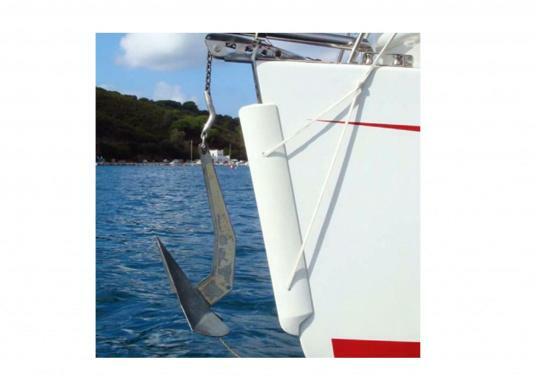 In addition, it protects your bow against the anchor's oscillations. 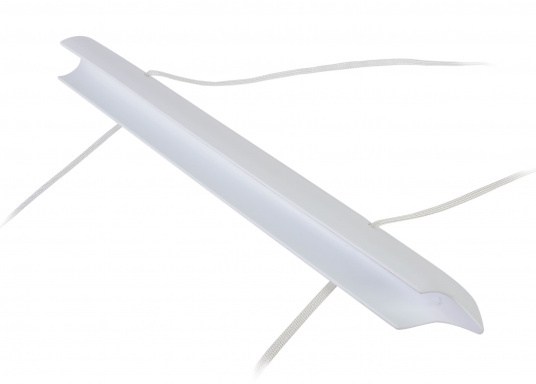 For easy and safe attachment, the BLADE has two through-holes with reinforced nylon fiber. Suitable for use on sailboats. Pas encore installé. Le produit semble robuste.